Access EZOfficeInventory through Okta for increased security and convenience! Limit visibility of certain items based on item group, location, or both. This is particularly useful when managing different departments or teams within an organization. End-to-end asset lifecycle management from procurement to retirement. Add and track asset purchase orders, vendors, maintenance histories, and lifetime costs. 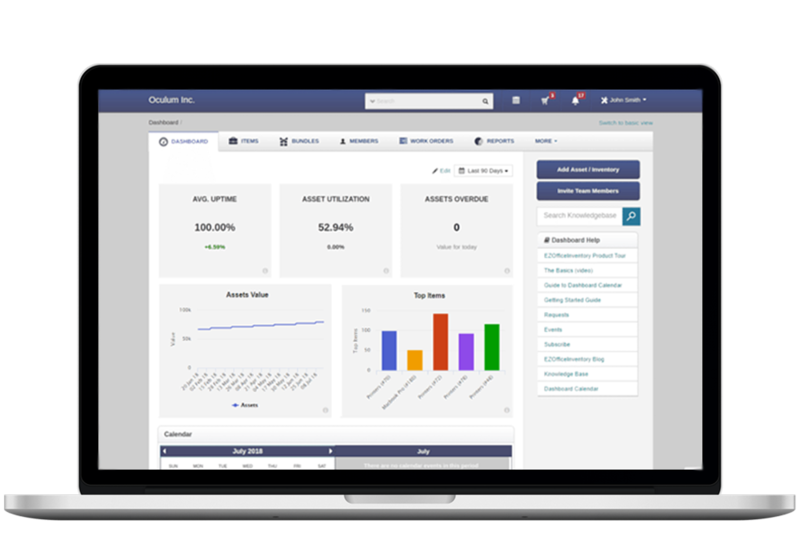 Use our equipment management software to check assets in and out effortlessly, empowering asset custodians to play an active role in keeping asset information up to date. Increase control by requiring administrator approval before employees are able to reserve and check items out from the system.